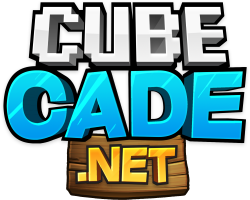 Cubecade | News - Welcome to Cubecade! Discussion in 'News and Announcements' started by ImBit, Mar 17, 2019. McpePro125, Nadaya, Sprint and 10 others like this. I am very excited for the bright future ahead of us! McpePro125, Sprint, Zhery and 1 other person like this. I'm looking forwards to all the fun to come. good but how i can simple connect my minecraft account with forum and get my ultimate gamer rank? .-. McpePro125 and Zhery like this. Let's go! I'm absolutely so hyped! Qurpo and McpePro125 like this.